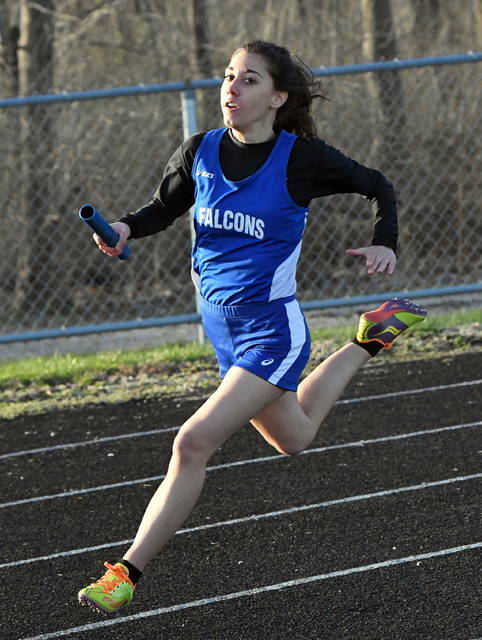 ADAMS TOWNSHIP – Clinton County athletes set three meet records Monday at the Clinton-Massie Relays girls track and field meet at Chick Brown Track. While Little Miami was finishing on top in the team standings, runnerup Clinton-Massie established a new mark in the high jump where Nora Voisey and Ashley Doyle combined to clear 9-8. Blanchester was fifth overall but the shot put (68-3.25) and discus (201-3) teams set meet records to claim the lone firsts for the Ladycats. Regan Ostermeier was part of both records, sharing the top spot in the shot with Lily Brown and in the discus with Alexis Davis. 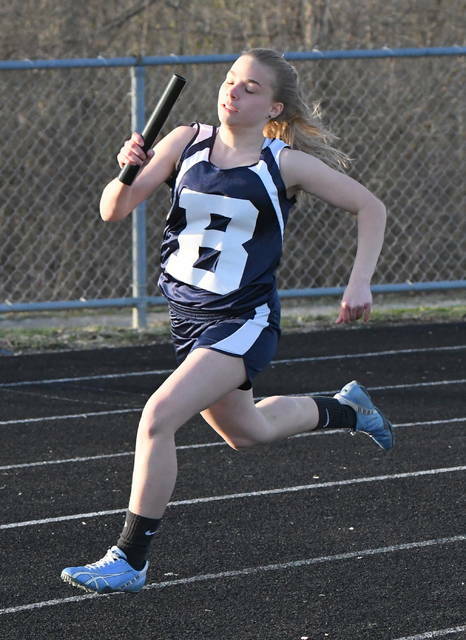 Clinton-Massie also won the shuttle hurdles as Rylee Richardson, Kaylynn Woolverton, Carly Moritz and Holly Young clocked 1:15.7 and the long jump with Moritz and Molly Lynch totaling 27-2.